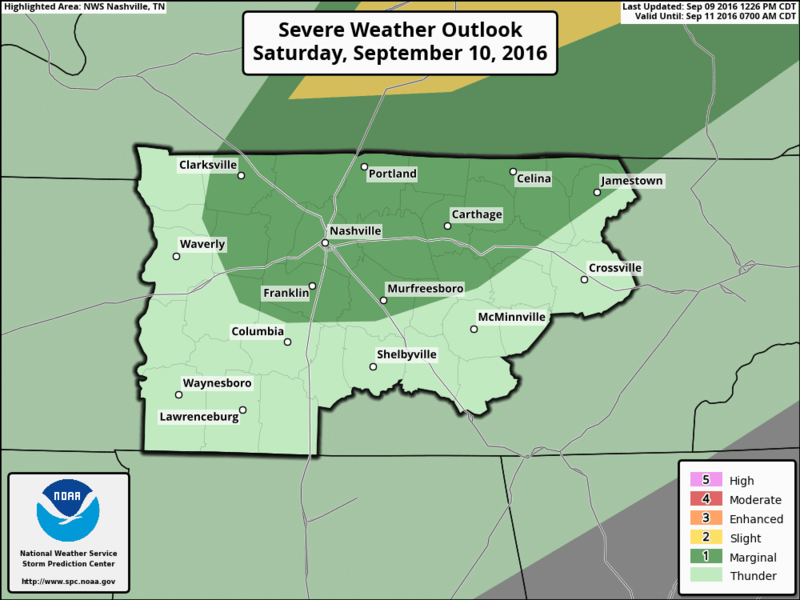 Summary: Cold front will bring strong to severe storms to our Saturday afternoon and early evening hours. Be weather aware while enjoying your weekend. Hope you all are enjoying your Friday night and have enjoyed the warm, but dry weather. Our weather will be changing tomorrow, and since there are several local events going on including the Grinder’s Switch Music and Arts Festival in Centerville and Nature Fest in Fairview, I wanted to give you all a heads up on the weather for our Saturday. There is a chance for strong to severe storms ahead of a cold front tomorrow afternoon and early evening hours. 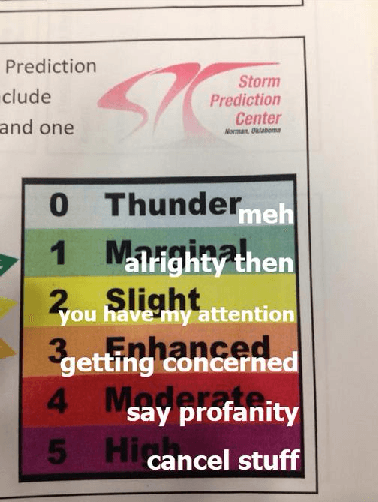 Currently the Storm Prediction Center has us outlooked in the MARGINAL category (a 1 on a 0-5 scale). I anticipate this changing for tomorrow where most of us could end up in the SLIGHT category for severe weather, but I’m not the Storm Prediction Center nor do I make those decisions. 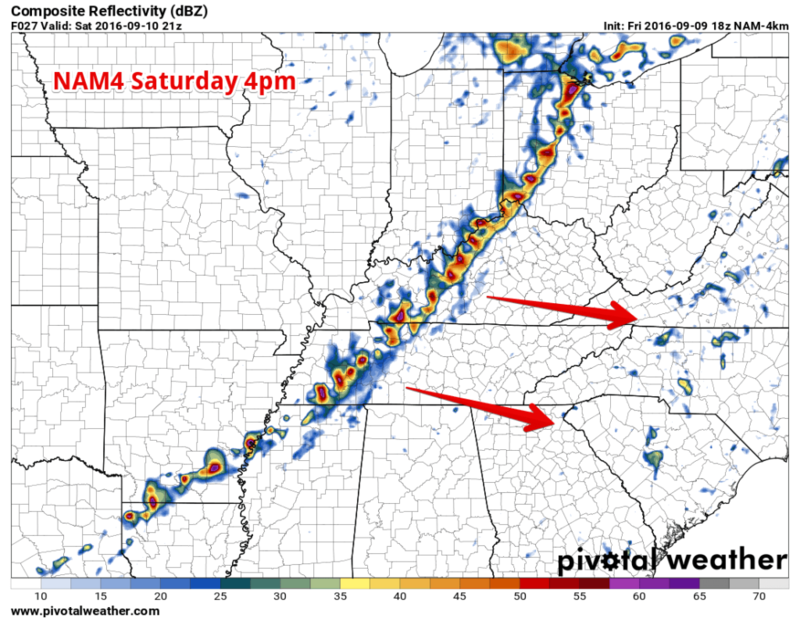 Above you see the NAM4 simulated radar for 4pm Saturday. You can see the clearly defined cold front and line of storms will be impacting us at or around this time (give or take a couple of hours). It’s expected that these storms could be strong, possibly even a severe one or two as they move through. The CAPE values (or the amount of instability or storm fuel for storms) are 2700+ j/kg. We typically only need about 1800 to 2000 (or more) to have storms, so there’s enough there for a storm or two to be strong, maybe even severe. I don’t think this will be a major storm system, but it could be one of the more stronger ones that we’ve had in recent months. However, since there are so many outdoor activities happening, I feel it’s important to get the word out for some possible storms with a few being strong to maybe severe. Stay weather aware as you go through your Saturday. 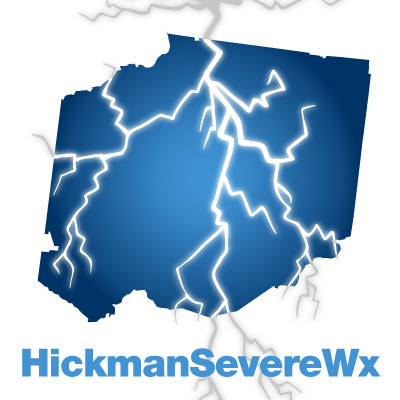 As always, we will be on Twitter @HickmanSevereWx tweeting all you need to know, and even more during warnings. Follow us there (or if you don’t have a Twitter account, bookmark our page) to get the latest info.